It is not just the Self Employed who are required to make an annual self assessment return. Many people who have their taxes collected through the PAYE system are still obliged to make a self assessment return, for example Company Directors; those with foreign income; those whose income exceeds £100,000 a year. Since 2013, a new group has been caught in the self assessment bracket, those parents affected by the new Child Benefit Charge (earning over 50k and still in receipt of child benefit). The means of collecting the new tax on child benefit is through self assessment. HMRC’s wizard https://www.gov.uk/check-if-you-need-a-tax-return will help you identify whether you need to complete a return or not. Anyone who completed a self assessment return last year, will probably be obliged to do so again this year, unless there has been a change in circumstances. Once HMRC send you a self assessment form, or a 'notice to file', you are legally obliged to complete and return it, whether online or by post, even if no tax is owing. The deadline for paper (postal) self assessment returns is 31st of October. The deadline for making an online self assessment return is the 31st of January. Making an online self assessment return is a relatively straight forward task. You will need to have certain documents and information to hand, these are listed further on in this guide. Remember this deadline is for both the tax return and payment of tax owing. Failing to make a return and pay any tax owing on time will result in hefty fines. Even if you don't owe anything in tax, you will still receive fines for not making a zero owing return. For an idea of late filing fines by HMRC see the bottom of this article. Getting your return in on time saves money. If you are late in making your return, don't delay any further as every day can be costly. Even if you can not afford to pay the tax owing, at least make a return without the payment and save yourself some of the fines. Have you registered with HMRC to make an online Self Assessment return? Please note that the steps bellow take some time so do not leave registering with HMRC for online returns until close to the 31st January deadline! 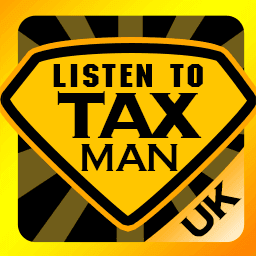 HMRC advise registering by the 5th of October. If making your first online return you will need to register with HMRC. For this you will need your National Insurance Number. You set up a username and password which you should keep a record of as you will need it to log on in future. You will then receive an activation code in the post which you use to activate your account by logging on and inputting the code. This needs to be done within 28 days of receipt, or another code will have to be re-issued. Once registered you will receive your ten digit 'Unique Taxpayer Reference' (UTR)in the post. You will need this to make your return. This process can be confusing and time consuming – to apply for your UTR quickly and easilyuse SimpleTax’s free UTR wizard – it will create a PDF of your application which you can print and post to HMRC. There are certain documents and information which you will need access to in order to complete your return. If you are very close to the deadline and you can not get some of these important figures/documents, give a reasonable estimate. You can explain in the notes section on the form to HMRC that the figure is an estimate. Then log in as soon as possible with the accurate figure. Don't miss the deadline and incur penalties if you can avoid it. employment and there are sufficient earnings to deduct the tax from). Employment information- P60 (if you don't have it you could use a wage slip for the month of March, ie. just before the end of the tax year you are making a return to). If you can not find March's wage slips, statements etc., use the telephone to contact your employer to get the information. If you have registered for the HMRC online services then this information may also be shown in your personal tax account. Pension contributions, statements or receipts. If you can not find these, contact your pension fund manager and get the figures needed. Bank interest certificate for information on income from savings. Also include any interest on investments and dividends (whether cashed or reinvested) on your return. Again, phone the bank if you can not find the certificate. Information on income from letting property (or losses from it). Totals from previous submitted self assessment forms so you can see if there are previous losses which can be carried forward to offset against this years income. HMRC have information on claiming losses against income for self employed. Allowable expenses, both personal (pension contributions, charitable donations) and business.See our articles on allowable expenses for both Self Employed and PAYE paying employees. Consider if Capital Gains applies to you this year, eg. have you sold a property? Or have you incurred a loss? If so you need to fill out the relevant section. Do not round up your figures. HMRC have implied that rounding up figures is a sign that people have not been detailed in maintaining their accounts and could attract further attention from HMRC. If you have gone over your allowable pension contribution, check previous self assessment returns as you may be able to carry forward unused allowances from previous years, see more here. Check you have the right tax code. Your tax code determines how much tax is deducted from your wage or pension. If it is incorrect, you could be paying too much tax. HMRC have written a guide on completing your return. 1st Feb, 1 Day late = £100 fine from the 1st February. 1st Aug 6 months late = £300 fine or 5% of the tax owing, which ever is greater. 1st Feb 12 months late = another £300 fine or 5% of the tax owing, which ever is greater. 1st Feb payment now 12 months late = 5% charge on the tax owing on that day. It should also be noted that if you make a return which is incorrect, and HMRC feel that you were either careless, or misleading them on the amount of tax you owe, they can charge a further 30% to 70% of the tax owing. In cases of deliberately concealing and misleading them they can charge 100% on top of the tax owed. Sponsored by GoSimpleTax, one of the easiest ways you can calculate and submit your tax return – no need to be a tax expert - HMRC recognised, jargon-free and intuitive. The online tutorial provides a guiding hand and the allowance prompts will ensure you claim applicable expenses. This article was published in our Guides section on 20/01/2017.